Here are four clips of the same passage from Vivaldi’s Four Seasons. Folks reading this in email, you’ll have to visit the site here. The player uses Flash, so it won’t work on your iPhone/iPad. You can listen to as much or as little of the music as you want. You can listen to it more than once. Each excerpt is about a minute long. Please listen to the first two, using whatever you normally use to listen to music on your computer, and answer the first question. Thanks. You’re halfway there. One of the files below should sound better than the other. Please listen to them and answer the question below. 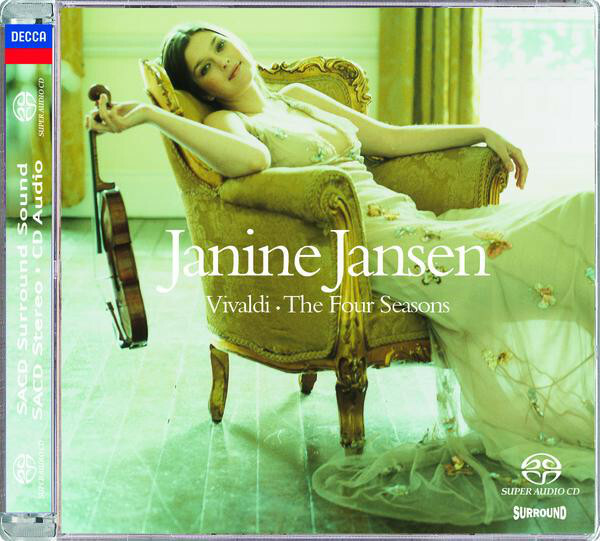 Excerpts are taken from Janine Jansen’s excellent SACD/CD hybrid recording of Vivaldi’s Four Seasons released by Decca in 2005. 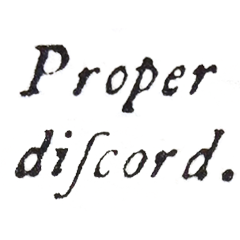 It’s played on “modern” instruments, but the orchestra is reduced to just a string quartet and continuo, which I think is part of what makes it sound so exciting. I chose this recording because it has a good contrast of loud/soft, tutti/solo and because the sound quality of the original recording is extremely high. This is a blind test, so I won’t be approving any comments until 100 votes are in. Last time, that took about a week. I’ll tell you the answers when we’re done. Have a nice weekend. EDIT 09/08/2010: The answers (and comments) are here.